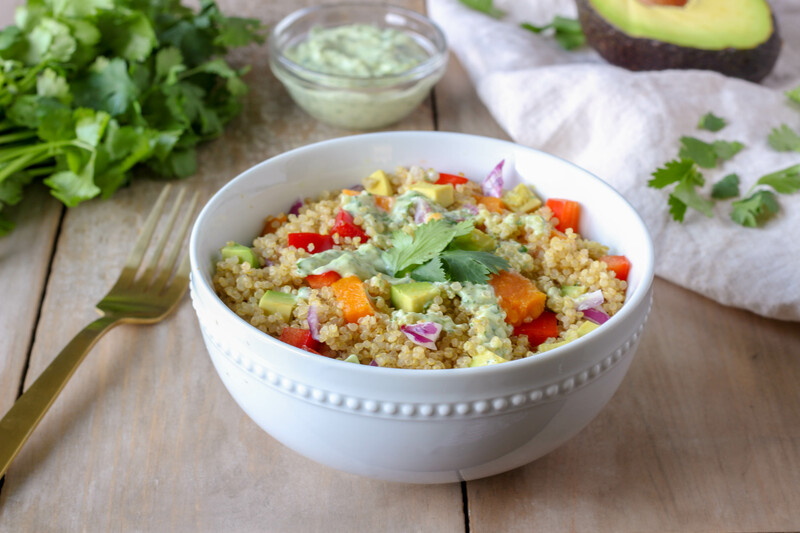 In a large bowl combine the red onion, red bell pepper, sweet potato, and avocado. In a small bowl combine the greek yogurt, mayo, lime juice, garlic, and cilantro. Season with salt and pepper. Set aside. Once the quinoa has finished cooking, add it to the large bowl. Then add the cilantro lime dressing. Toss together.